That the return of Christ seemed to be slow in coming caused quite a stir among the earliest Christians. 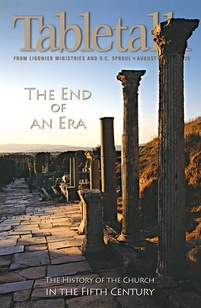 In fact, some so-called teachers in the early church taught that the apparent delay of Christ’s return proved that He would not be coming back at all. These false teachers spread this heresy among the audience of Peter’s second epistle, causing even some true believers to begin to wonder if the false teachers might be right. Second Peter 3 devotes much space to addressing this important concern. Yesterday we saw that God’s relation to time is indeed very different than our own, and because of this, the return of Jesus is near in every generation even though it may seem slow in coming to us (v. 8). In today’s passage, Peter continues to affirm the reality of the second coming in light of its seeming delay, encouraging believers that the Lord is indeed not slow in fulfilling His promises. Rather, the Lord had not yet come in Peter’s day because of His patience in waiting for Peter’s audience to come to repentance (v. 9). Many have used 3:9 as a proof text against the Reformed doctrine of predestination. How can God predestine only some to eternal life, it is said, if He does not desire that any should perish? Let us note, however, that Peter is not speaking to all people in general in this verse. He is addressing an audience of believers, telling them that the Lord is patient with “you” (the believing audience) and not willing that anyone in this audience should perish but instead find repentance. Far from denying that God elects only some to eternal life, this verse tells us that God has seemed to delay the parousia (the return of Christ) in order that His people might repent before it is too late. Instead of being an evidence against Jesus’ return, what might seem to be a delay of the parousia actually demonstrates God’s mercy. God does not wish that any of His people should fail to repent; thus, we know that Jesus will not return until all the elect are gathered in. Lest this make anyone complacent in their sin, Peter also reminds us that His return will come suddenly, and therefore we must repent today before the parousia makes it too late (v. 10). The call to repent before it is too late should never make us think that God’s election will fail to accomplish its purposes. However, the elect will never presume upon the grace and patience of God but will lead a life of repentance, remembering that His mercy requires a response of faith. Today’s passage reminds us that we must never take God’s patience for granted. Spend some time today in repentance over things you have not yet confessed to the Lord.